Messier House Moving & Construction, Inc. The body on this truck was purpose built to transport our equipment. 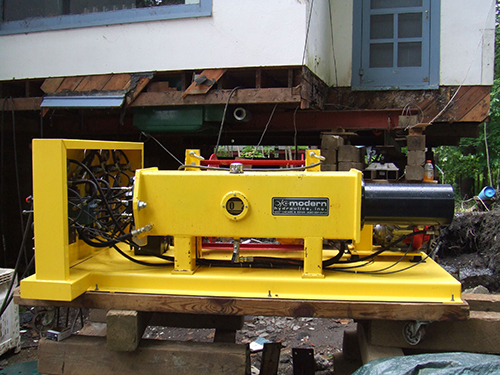 The 16 ton crane gives us the ability to move and place most of our equipment even if working room is limited. 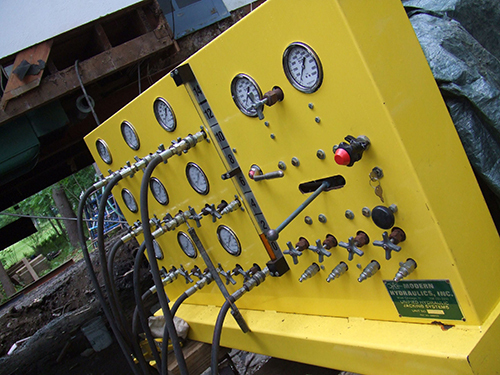 This is our Modern Hydraulics Unified Jacking system. Made in America, this system keeps the jacks moving at the same rate. This means the building will not be twisted or stressed by points surging ahead or lagging behind. We have one of the larger steel beam inventories in New England. Our shop is located near several major routes, giving us convenient access to most of the state. Website Created & Design by Norman L. Messier Jr.